Baby chicks as a food source? 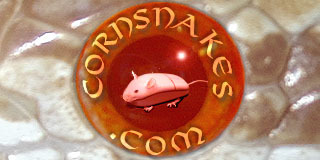 I have been raising a breeding corn snakes for many years and have always provide frozen thawed mice as a food source. I have a local mouse breeder who also sells frozen baby chicks an it occurred to me that a baby chick mixed in every couple of months my be beneficial to the nutrition of my collection. My second thought is don't mess with what's working. But if a baby chick once in a while could be beneficial, I would like to do it. Would love to hear other opinions or experiences on this before I make a decision. I think it's a good idea to alternate food items! I keep meaning to get some baby quails to offer. When I had Carpet Pythons, I gave baby chicks and baby quails to the ones who would eat them. I think those that will eat a variety of prey, will ultimately be healthier. That's just my own personal opinion. My question would be what do you think changing the typical diet of a corn snake will accomplish? If you think a mouse diet is somewhat insufficient, you can always add vitamins or minerals to the prey. Did you ever have corns that failed to grow well due to a mouse diet, with the exception of health problems? Now, if you said that a little diversity would keep the typical feeding day more interesting for your corns I could believe that. But mine welcome the same old mice diet every time. However, scenting the mouse may accomplish the same result. Having said all that, people have fed quail to their snakes, and I have not heard any bad reports. I have fed fresh trout fillets to hognose snakes to entice them to eat when they went off feed, but never tried it with corns. I'm very happy with the results of a mouse diet from a good mouse breeder. And if I were to add baby chicks to the diet, I would keep it mostly mice with an occasional chick every couple of months. Not quite sure exactly what it may accomplish other than the chicks are on a different diet which may add a different nutritional value to a corn snake diet ultimately making them a bit healthier. Your point of just add supplements to a mouse probably a better choice. I guess this questioned came to me after a combination of seeing a photo of a corn in the wild eating a bird and looking thru by mice supplier's website and noticing baby chicks available made me ask the question. However I have very little knowledge of nutrition so I'm not sure what I'm asking which is the reason why I'm asking. Finally, I'm not planning to change anything without hearing from someone with a long history with this type of diet. Seems to me that I had a discussion with my son when he was feeding quail and day old chicks to his snakes. If I remember correctly he said his colubrids got too fat if fed quail and chicks too often. But they helped getting his females back into condition after egg laying. He said they were higher in protein than mice. I don't remember what he said about getting them back on a mouse diet though. I know some of his corns wouldn't go easily back on mice if they were fed rats. Rodent Pro used to have a comparison on their website. I did look at it a couple times, but since I needed mice of different sizes I never ordered anything else. I would also like to vary the diet of my snakes, as well as stretch my frozen mouse budget. How would chicken gizzards work? I have extra of them in my freezer, as I cook a whole chicken quite often. What I am thinking of doing, is offering a fuzzy mouse, then when they eat that, they can follow up with a chicken heart. Try it and let us know how it turns out, but there is a big difference between a gizzard and a heart. I know some people eat chicken gizzards but the first time I tried one it was like eating the sole of a tennis shoe, rubber. I've tried different food items on hognose snakes, but they seemed to be more of a scavenger than my corns. I used to raise quail, but never thought about feeding their eggs to my corns, although it is said that corns do eat eggs in the wild. You could try cutting gizzards into strips, boiling them, and scenting them with a mouse. Let us know how your efforts turn out. I'm with Twolunger on the question regarding what it accomplishes. Will a cornsnake grow to a health ripe old age on just mice? Or is it better to mix it up? Perhaps once it's an adult it would be okay, I personally don't see the benefit on a juvi. Apparently there's hardly any difference between mice or rats .. nutritionally... rats are just easier to feed than multiple mice for bigger snakes ..